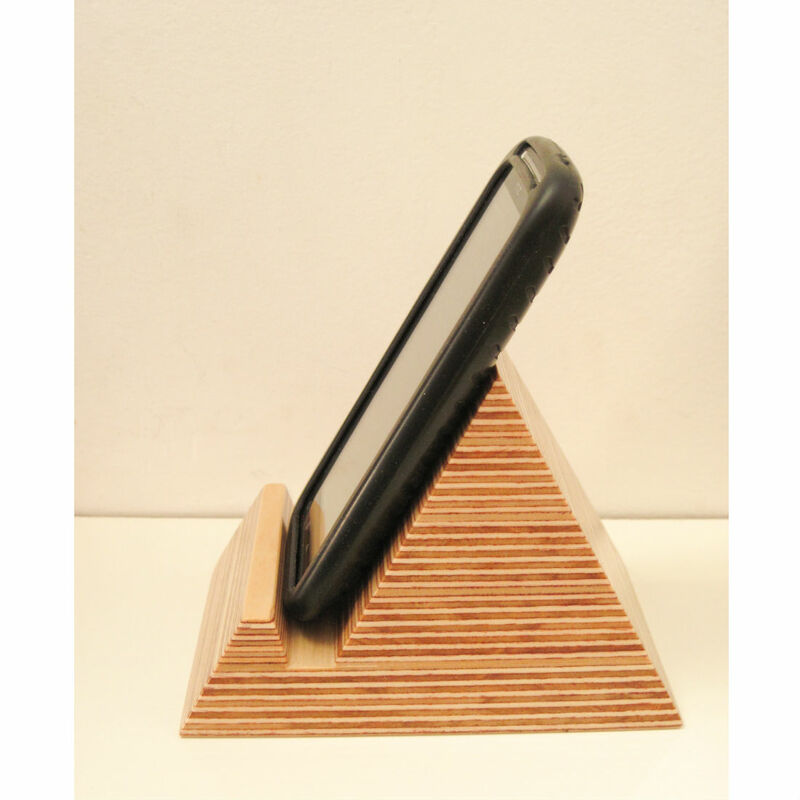 Pyramid Phone Holder is inspired by the pyramids of ancient Egypt. 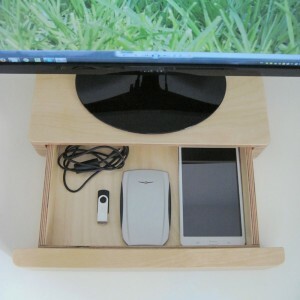 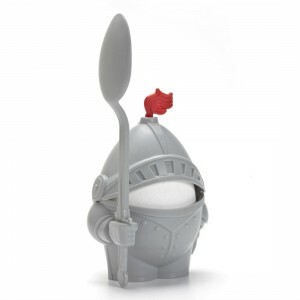 And the perfect place to rest your modern mobile phone on your desk or while charging. The phone stand is also ideal for when you’re watching videos, surfing the net or talking on skype. Pyramid Phone Holder combines contemporary Scandinavian design with inspiration from ancient Egypt. 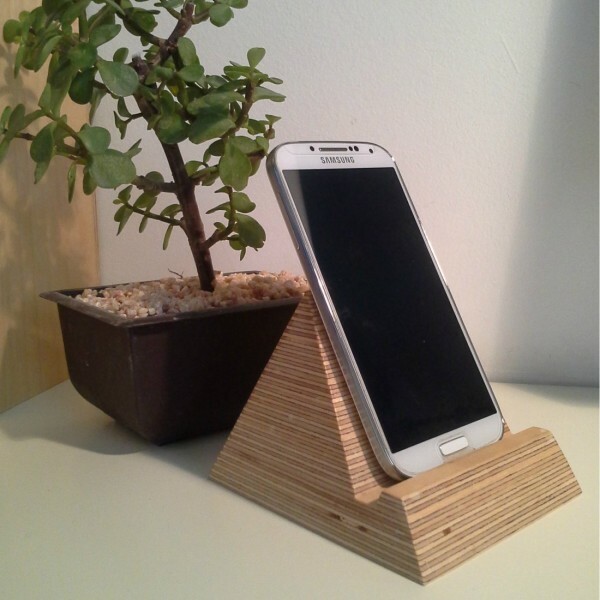 And the result is a phone stand that’s perfect for modern living. 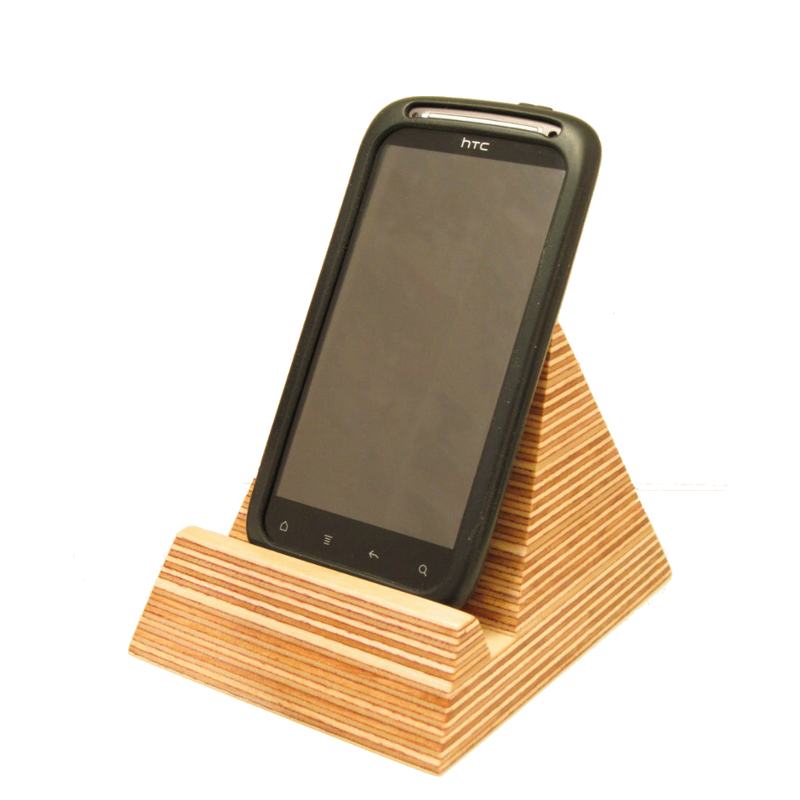 Because of the angle at which it holds your phone, you’ll also find it really useful while watching video clips, looking at pictures, or talking on Skype or FaceTime. 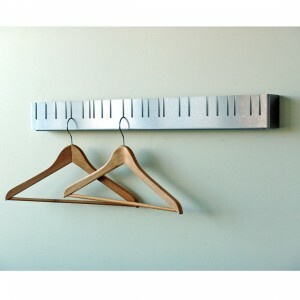 Pyramid is handmade in solid birch ply, a material quite typically associated with Scandinavian design. 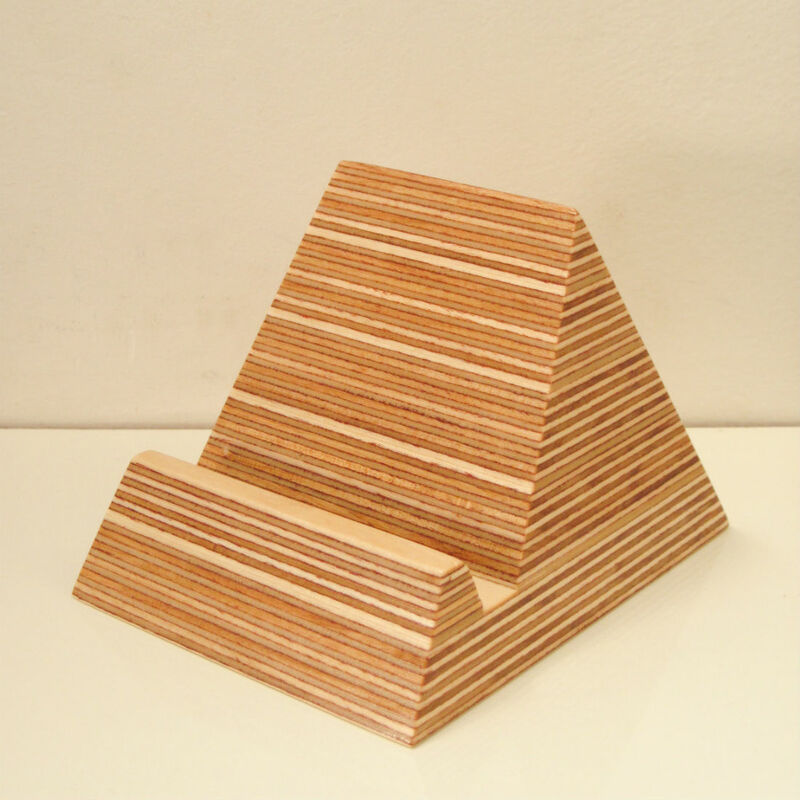 But you might also be surprised to learn that the first use of plywood was actually in ancient Egypt.